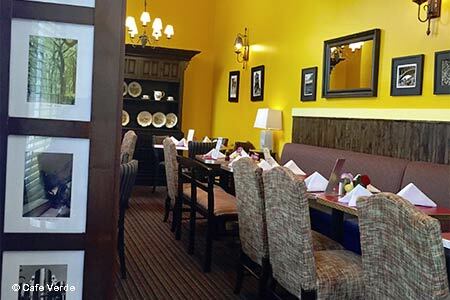 Blink and you'll miss this well-kept secret serving good food all day in a cozy dining room. Breakfast & Lunch Mon.-Sat., Dinner Tues.-Sun., Brunch Sun. : The postage stamp-size dining room at Café Verde offers a handful of linen-covered tables, with a few additional ones out on the sidewalk. With its saffron walls adorned in artsy black-and-white photography, it looks like a small town diner that has been dressed up for a special occasion. The breakfast menu offers blueberry pancakes and eggs Florentine, while hot-pressed sandwiches, pastas and classic salads dominate the midday fare. For dinner, a local clientele tucks into lamb chops in a blackberry-Pinot Noir reduction, a porterhouse with cherry-Merlot sauce, and salmon glazed in tamarind, some of which are not timidly priced. Better value is represented by entrée salads and a well-stuffed lobster club sandwich. Classic apple pie and a peach and blueberry cobbler are must-try desserts. 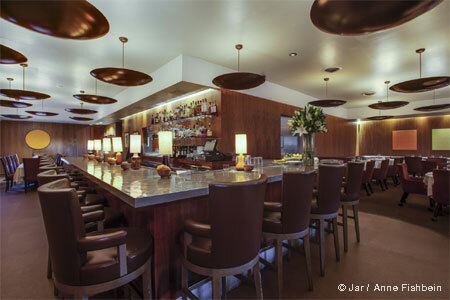 A full bar is available in addition to a small wine list. Popular brunch offerings include savory crêpes with mushroom and spinach, a seafood omelet, and a stuffed pasilla chile and eggs.